any instructions? shedules on how to get your ICC sticker from DTI. 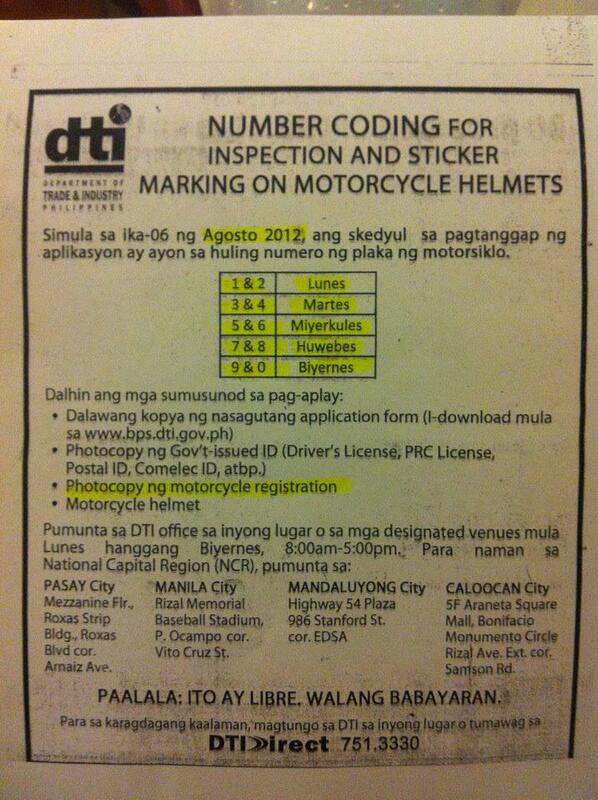 Below is the NUMBER CODING for inspection and sticker marking on Motorcycle helmets. 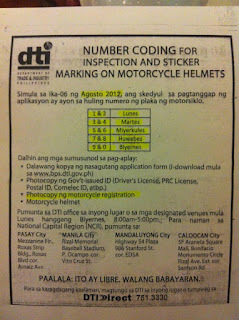 You need Photocopy of GOvernment ID's DTI Form that you can download on the DTI site, your motorcycle registration form and your beloved Helmet.